2018 was another year full of great surprises. The album release schedule seemed slimmer when compared to other recent years, and they continued to get shorter in in length in the age of streaming. Still, this year offered an eclectic set of albums that should be on your radar. 50. APHEX TWIN – “COLLAPSE” EP Richard D. James returns with his latest Aphex Twin release, and “Collapse” is a dizzying, pleasantly warped offering that plays like a rapid-fire video game soundtrack. The five tracks clock in at nearly a half-hour, but from the booming clatter of “1st 44” to the dissonant menace of “Mt1 t29r2” and “Pthex,” you should be immediately hooked, if the mood of this set grabs you in the right way. 49. 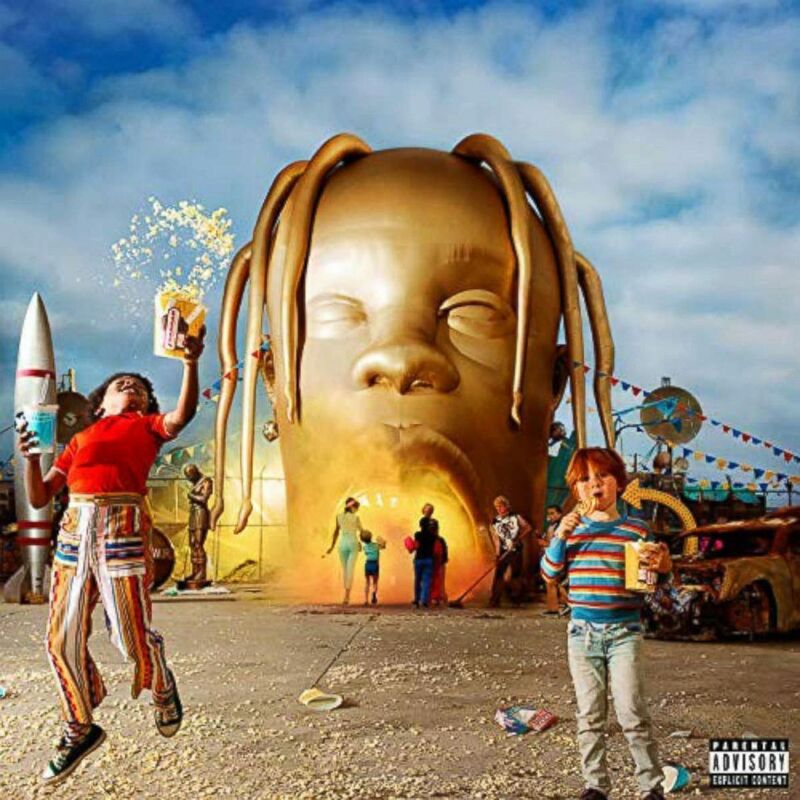 TRAVIS SCOTT – “ASTROWORLD” Travis Scott’s third album finds the rapper mixing some psychedelic backdrops with vocoder-assisted jams that are truly effective. This is an adventurous set that should please progressive hip-hop fans, looking to take modern electro-tinged hip-hop to the next level. The best moment comes when the vocoders take a backseat on the darkly enthralling “Sicko Mode,” but throughout the set, Scott offers a dense, intensely layered collection that should prove to be influential. This is a hazy, woozy trip. 47. JANELLE MONAE – “DRITY COMPUTER” Janelle Monae’s third full-length album is a funky, eclectic ride, with guests including Beach Boys legend Brian Wilson, Pharrell Williams, Grimes and Zoe Kravitz. From the glorious title track to songs like “Pynk” and the not-so-subtle “Screwed,” this is, at its core, an album focused on sexual liberation and rebirth. It’s also quite an unpredictable party record, full of enjoyable stand-outs. This is a huge step forward for Monae. 46. A PLACE TO BURY STRANGERS – “PINNED” New York noise-rock outfit, A Place to Bury Strangers, returns with its fifth album, and if you didn't already know that leader Oliver Ackermann also designs guitar pedals, it becomes immediately obvious from the amount of dense sounds on this record. New drummer and background vocalist Lia Simone Braswell proves to be asset here, and songs like “There’s Only One of Us,” “Situations Changes” and “Never Coming Back” combine the noisy layering of the Jesus and Mary Chain with the cool, dark detachment of Joy Division. 45. CZARFACE & MF DOOM – “CZARFACE MEEETS METALFACE” When underground hip-hop legend MF Doom joins forces with Czarface (a super-group featuring the Wu-Tang’s Inspectah Deck along with 7L & Esoteric) it results in some playfully cartoon-y fun, continuing Doom’s enjoyable “super-villain” shtick. Full of dusty samples and vocal-snippets, standouts like “Forever People,” “Captain Crunch,” “Stun Gun” and “Nautical Depth” provide some bass-heavy, lo-fi enjoyment. Clever cultural references are scattered all over this record, providing an equal amount of laughs and thrills. 44. MACY GRAY – “RUBY” “Ruby” is easily Macy Gray’s freshest and most essential record since the one-two-punch of “On How Life Is” and “The Id.” This is a boldly assured return to form with a bright, energetic kick. Standouts, “Buddha,” “Cold World,” “Jealousy,” “Witness” and the upbeat “White Man” show Gray at the peak of her powers with an incredibly tight backing band. This record is worth finding and blasting. 43. THE MOUSE OUTFIT – “JAGGED TOOTH CROOK” The newest full-length album by hip-hop collective The Mouse Outfit, from Manchester, England, puts the emphasis on smoother-than-silk grooves. Familiar guests like Ellis Meade, Sparkz, Dr Syntax, Dubbul O and more make appearances, but on cuts like “Repeat,” “Cut ‘Em Loose,” “Money,” “Revolution” and more, the tight grooves demand just as much attention as the emcees on the mic. 42. POSTER CHILDREN – “GRAND BARGAIN!” On their first album in 14 years, Champaign, Illinois, rockers Poster Children return with a sharply appealing, politically-charged set. Tracks like “Hippie Hills,” “Better Than Nothing,” “World’s Insane” and “Devil and a Gun” provide the kind of energy that earned them a following in the nineties, but it is the bludgeoning force of the spoken-word title track, which takes direct aim at the current administration, that really leaves a powerful impression. Rick Valentin’s deadpan verses and bellowing choruses still pack a wallop. 41. 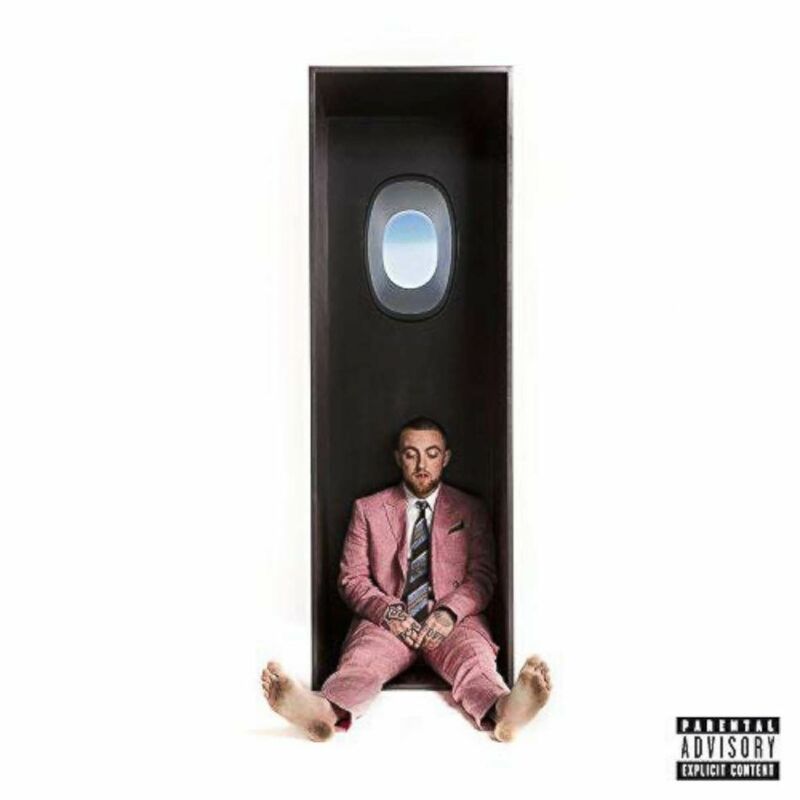 MAC MILLER – “SWIMMING” There’s an eerie, melancholy undercurrent to Mac Miller’s “Swimming,” no doubt accentuated by the Pittsburgh rapper’s unexpected death shortly after the album’s release. Listening to tracks like “So it Goes,” “Hurt Feelings,” “Self Care” and more, it’s hard to deny that this is among the most soulful, mature and honest music that Mac Miller ever released. 40. JORJA SMITH – “LOST & FOUND” The debut full-length album from the English R&B star is packed with the kind of grooves that should please any classic neo-soul fan. Tracks like the Dizzee Rascal-quoting “Blue Lights,” the awesomely smooth “February 3rd” and the acoustic-guitar led “Goodbyes” show Smith as a blooming star, bringing to mind the likes of Jill Scott and Corinne Bailey Rae. “Lost & Found” is a mellow yet utterly confident set. 39. LUCY DACUS – “HISTORIAN” Folky indie-rocker Lucy Dacus follows up her impressive 2016 debut “No Burden” with an even more remarkable sophomore effort, “Historian.” Dacus’ trademark seems to be her confessional lyrics delivered in a somewhat conversational tone, making songs like “Night Shift,” “Addictions,” “Nonbeliever” and the darker “Timefighter” really grab the listener by the ears. This album is intimate in its approach, putting extra focus on Dacus’ gifts as a storyteller. 38. ANNA BURCH – “QUIT THE CURSE” Singer-songwriter Anna Burch makes a dynamite entrance on her debut album, “Quit the Curse,” an album that is brimming with retro-pop-craft coolness and steeped in vintage power-pop. In some ways songs like “Tea-Soaked Letter,” “What I Want” and “Asking 4 a Friend” bring to mind a more hushed but equally insistent cousin to the work of bands like Best Coast and Alvvays. These are smart, sweet songs full of catchiness and attitude and yet the hooks are never forced. 37. NENEH CHERRY – “BROKEN POLITICS” Thirty years after Neneh Cherry struck pop gold with her breakout hit, “Buffalo Stance,” she is still making head-turning tracks. “Broken Politics” is more of an arty, left-field exercise. She teams up with Kieran Hebden of Four Tet fame, making a thought-provoking record full of nuance and texture. Tracks like “Kong,” “Deep Vein Thrombosis” and “Slow Release” bring to mind the cerebral side of Bjork and records by the likes of Massive Attack and Martina Topley Bird. True to its title, this is a politically-charged effort, with tracks like “Shot Gun Shack” and “Natural Skin Deep” leaving a profound impression. 36. RAY LAMONTAGNE – “PART OF THE LIGHT” Singer-songwriter Ray LaMontagne drops his third killer album in a row following 2014’s highly psychedelic “Supernova” and 2016’s ethereal “Ouroboros.” While “Part of the Light takes cues from its too immediate predecessors, giving us bursting left turns like “Paper Man.” The title-track and the beautiful “Such a Simple Thing” offer up some tender songwriting and yet, even at his quietest, LaMontagne’s work never comes off as light fare. He seems to be growing exponentially as a writer and performer. “Such a Simple Thing,” for instance, finds a middle-ground in some ways between Van Morrison and George Michael. When he follows that up with the blues of “No Answer Arrives” one track later, it seems expected. 35. NEKO CASE – “HELL-ON” Alt-country shape-shifter Neko Case doesn’t disappoint with her first solo album in five years. “Hell-On” is a tightly-wound record that is slightly gothic and existential in tone. The title-track sounds like a Tom Waits-esque lament on our impending doom while the saxophone-assisted “Halls of Sarah” is a bold character-study drenched in an almost celebratory brand of melancholy. From the girl-group workout “Bad Luck” to the commanding “Gumball Blue,” it becomes clear at once that Case is one of a kind. Her choice to work with producer Bjorn Yttling of Peter Bjorn and John fame is icing on the cake, making this album often sound like a more pensive, shadowy cousin to her New Pornographers output. 34. 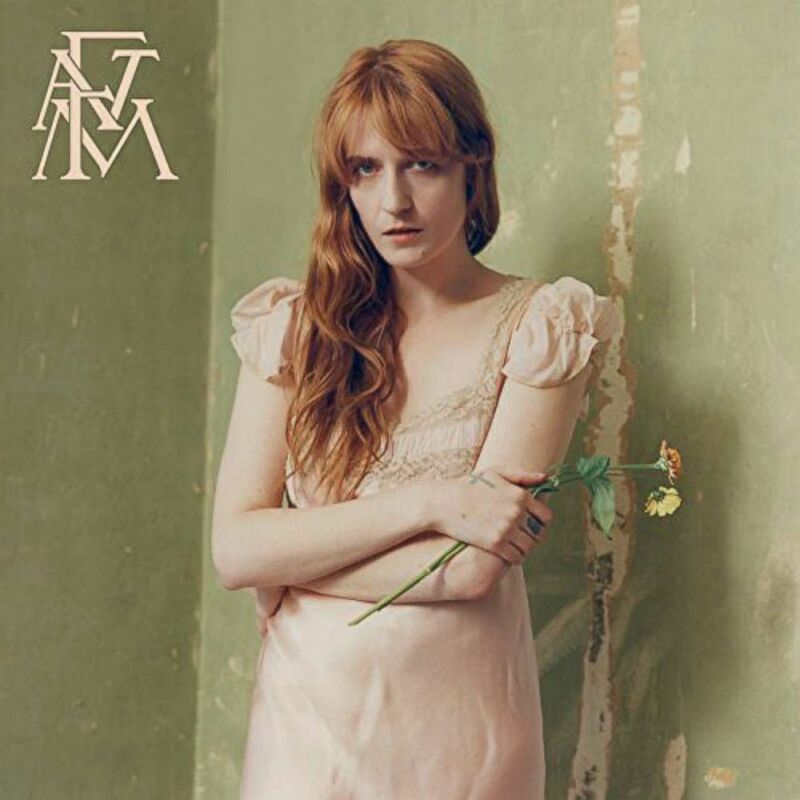 FLORENCE + THE MACHINE – “HIGH AS HOPE” At just 10 songs and with a somewhat sparse approach, Florence + the Machine’s fourth album comes off as a significantly more subtle exercise when compared to the bombast of the band’s past work. Still, if you give it the attention it deserves, songs like “Grace” and “Patricia” still shows Florence Welch to be a show-stealing anchor. “Sky Full of Song” is one of Welch’s strongest offerings to date and “Hunger” goes from a minimalist jam to a pop-ready jam. Welch’s lyrics here rid herself of demons in a deeply cathartic, confessional way. “High as Hope” slightly mutes the orchestral flourishes of the past, while still maintaining the same mysterious magic. 33. NOW, NOW – “SAVED” Indie-pop outfit Now, Now’s first album in six years is the kind of record that should earn them a much wider audience, from the opener “SGL,” to the Michael Jackson-referencing “MJ,” to the hypnotic “AZ.” Yes, they like to use initials as song-titles, but the center of attention is always on Cacie Dalager’s conversational, pop-ready vocals. This is a record for fans of groups like Chairlift and Wet, with standouts like “Holy Water” and the pseudo-dream-pop-infused “Drive” demanding repeated spins. 32. DR. OCTAGON – “MOOSEBUMPS: AN EXPLORATION INTO MODERN DAY HORRIPILATION” Kool Keith resurrects his Dr. Octagon moniker, bringing along his cohorts Dan the Automator and DJ QBert. As expected, the resulting record is full of madcap zaniness, random hospital themes and a ton of graphic sexual references. This is an album that earns its warning sticker. “Black Hole Son,” “Polka Dots” and the Paul Banks-assisted “Flying Waterbed” deliver the kind of tongue-in-cheek cartoonish naughty bits fans expect. Even better, on “3030 Meets the Doc, Part 1,” Keith meets Del the Funky Homosapien, effectively achieving a Dr. Octagon/Deltron 3030 summit. 31. LILY ALLEN – “NO SHAME” Lily Allen recovers nicely from the strange missteps of her last album “Sheezus,” with “No Shame,” a sonically experimental offering that combines the clever, attitude-heavy pop of her first two records with a shiny, dub-y reggae sheen. Her voice is often covered in deep layers of reverb and other effects but songs like “What You Waiting For?” “Come on Then” and the beautiful Burna Boy-assisted “Your Choice” recall high points of the past. By the time you hit the piano-ballad “Three,” which verges on being downright Beatle-esque and the airy yet dense “Everything to Feel Something,” with its jazzy textures, it seems evident that this is Allen at her most open. 30. SKYZOO – “IN CELEBRATION OF US” Brooklyn rapper Skyzoo hands in a mature, thought-provoking offering with the smooth, tight, “In Celebration of Us.” His dense flow is thick with wisdom and charisma as he rhymes over some really slick beats. When his backdrop completely switches up on “Heirlooms & Accessories,” he doesn’t even stop to take a breath. Tracks like “Crown Holder,” “Forever in a Day,” “Love is Love” and the wonderfully bass-driven “Sound Like…” used to be the kind of songs that turned rappers into stars. This is New York hip-hop in the classic “Video Music Box” mold. 29. TANUKICHAN – “SUNDAYS” Hannah van Loon’s recording project Tanukichan makes a powerful statement with the dream-pop-infused “Sundays,” an album that revels in both lush textures and overblown moments, finding beauty in the achievement of a balance. The relaxed groove of “The Best” and the deeply atmospheric “Like the Sun” both place van Loon’s near whispered, but clear vocals over some really thick backdrops. “Bitter Medicine” has a classic, watery shoegaze drive while “This Time” is a well-executed ballad. Produced by Toro y Moi’s Chad Bear, this is in many ways a perfect soundtrack for late-weekend chill-out sessions. 28. 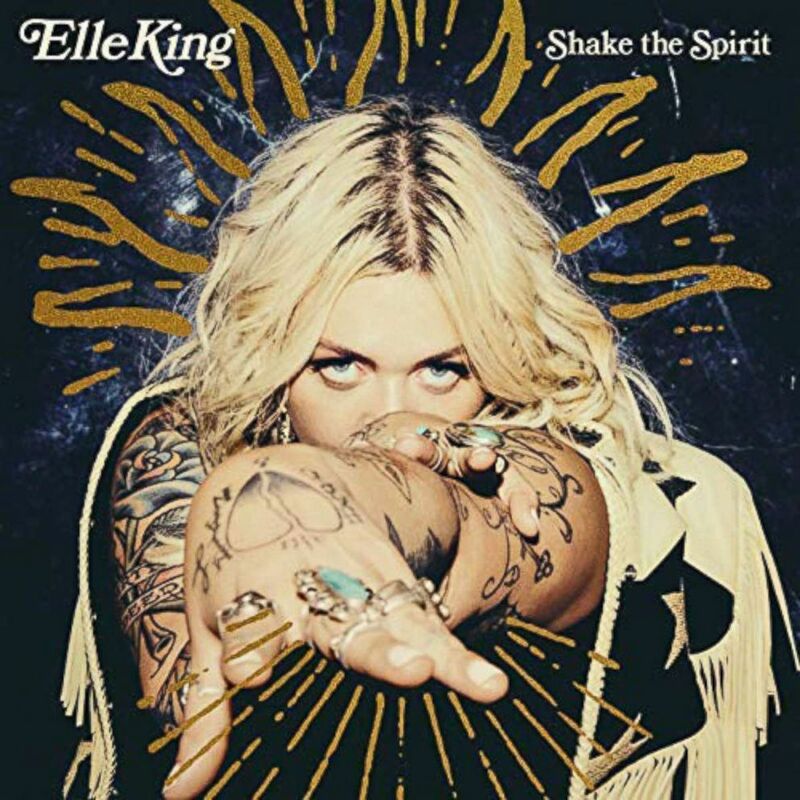 ELLE KING – “SHAKE THE SPIRIT” After hitting major success with her single, “Ex’s and Oh’s,” singer Elle King in no way hits the sophomore jinx with her second album, “Shake the Spirit,” a collection which revels in a combination of influences ranging from rockabilly, hard-rock and country. “Baby Outlaw” sounds downright cinematic in its approach, while “Shame” is a show-stopping slice of distorted, bluesy pop. King takes some daring vocal chances on “Told You So” and proves she can handle a great ballad on both “Sober” and “Good Thing Gone.” “Shake the Spirit” is a rocky record that fuses timeless song-craft with alternating doses of bile and emotional release. 27. BELLY – “DOVE” Nineties alt-rock veterans Belly returned with their first album in 23 years, “Dove,” an album which both builds on the legacy they established with their first two classic albums, and adds a dose of maturity to the mix. Listening to the sweetness of “Human Child,” leader Tanya Donelly is injecting the kind care she put into the highlights of her solo “Swan Song Series” boxed set a few years ago. There are hints of their grunge-era past in rockers like the nearly “Shiny One” or the opener “Mine,” but mostly “Dove” is about evolution and growth. It’s hard to imagine nineties albums having songs like the country-infused, “Artifact,” but these moments provide many unexpected but worthy surprises. 26. YOUNGER – “NIGHT MILK” Iowa City alt-rock rock trio, Younger, deliver a dynamite second album with “Night Milk,” an album which rocks harder than their impressive debut. Amanda Crosby, Rachel Sauter and Sarah Mannix pound out rock gems like the attention-grabbing, thunderous “Divorce,” and the slow-building-to-explosive “Trash.” While their debut hinted at a lot of classic “RIOT GRRRL!” influence, this album is more psychedelic in its approach, although you can hear echoes of “Guyville”-era Liz Phair in the guitar-work on “Mouth Off.” Sonically, this set offers a thrilling, enjoyable gut-punch. 25. WILLIAM FITZSIMMONS – “MISSION BELL” William Fitzsimmons’ “Mission Bell” is a record full of well-crafted, intimate, softly sung anthems of heartbreak. On songs like “Second-Hand Smoke,” “Distant Lovers” and “Angela,” the Pittsburgh native sings about a dissolving relationship with keen attention to detail. Recalling everyone from Elliott Smith to early Joshua Radin, Fitzsimmons somehow finds tender beauty in the devastating aftermath, with a surprisingly clear and tender voice. 24. COURTNEY BARNETT – “TELL ME HOW YOU REALLY FEEL” Moodier and more inward-looking than her 2015 album, Courtney Barnett’s “Tell Me How You Really Feel” shows another side to the Australian singer-songwriter. The peak of the record is “Nameless, Faceless” in which she sings, "Men are scared that women will laugh at them... Women are scared that men will kill them." This set mixes sobering doses of reality with clever observations on tracks like “Crippling Self Doubt and General Lack of Self Confidence” and “City Looks Pretty.” It is Barnett’s wit that puts her above the rest. 23. ARIANA GRANDE – “SWEETENER” “Sweetener” is Ariana Grande's strongest collection to date, fueled by standout tracks, “God Is a Woman,” “R.E.M.,” “No Tears Left to Cry” and “Breathin’.” Her pseudo-cover of Imogen Heap’s “Goodnight and Go” (listed as “Goodnight n Go”) is also a highlight, as is the momentarily sweet, “Pete Davidson,” which will exist forever as a touching reminder of their intense but ultimately short-lived romance. By the end of the year, Grande would top the charts with an ode to her exes, “Thank U, Next,” which isn’t present here, but is equally worthy. 21. MASTERSYSTEM – “DANCE MUSIC” Mastersystem is a band featuring Frightened Rabbit’s Scott Hutchison and Grant Hutchison along with Justin Lockey from Editors and James Lockey from Minor Victories. “Dance Music” is a hard-charging, commanding and brutal record in places. Songs like “Proper Home,” “Notes on a Life not Quite Lived” and “Must Try Harder” pack a great deal of punch. The music here is more destructive sounding than most of the Frightened Rabbit work but this is one last reminder of the late Hutchison’s immense skill as a songwriter and a front-man. 20. 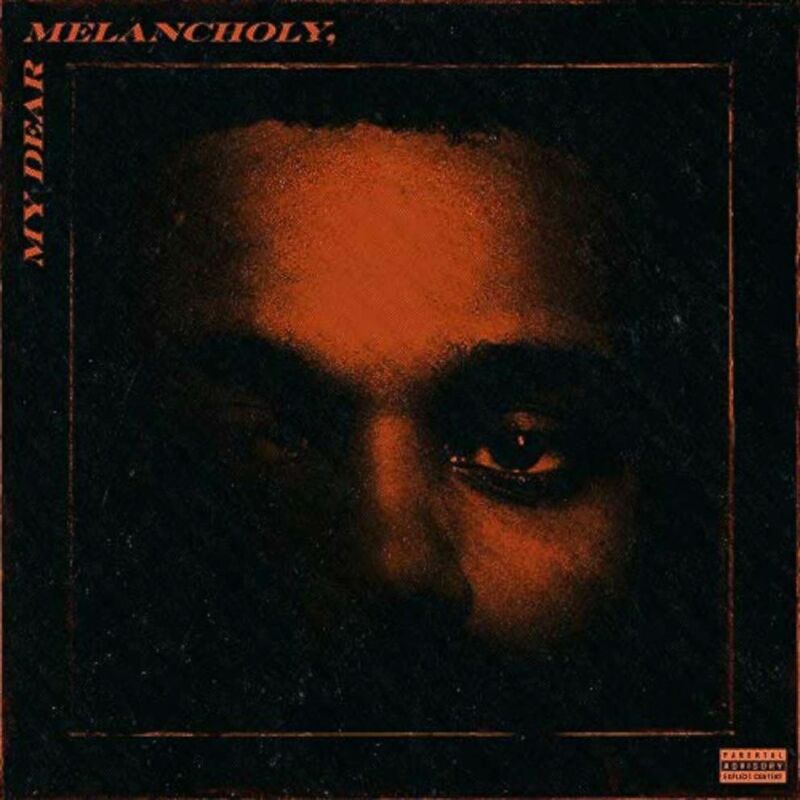 THE WEEKND – “MY DEAR MELANCHOLY” This is a tight, six-song set from Abel Tesfaye (A.K.A.the Weeknd) that immediately sets the mood in its brief 22 minutes. “Call out My Name” begins the heartbreak-inspired suite and proves to be the biggest highlight. What makes this set special is that it shows a keen sense of vulnerability in an artist who is usually known for sultry, confident jams. Somehow in spite of the sad context, this set still maintains his signature tone, especially on the lush closer, “Privilege” and the extremely frank, “Wasted Times.” Within its short running time, this set more than justifies its existence as a stand-alone EP in his discography. 19 . FAILURE – “IN THE FUTURE YOUR BODY WILL BE THE FURTHEST THING FROM YOUR MIND” Three years after returning to action with their album, “The Heart is a Monster,” it is great to see that the reunion has stuck. Ken Andrews, Greg Edwards and Kellii Scott have a signature sound that is immediately recognizable, full of sudden minor key turns and various dissonant notes. Songs like “Paralytic Flow,” “Pennies,” “No One Left” and “Apocalypse Blooms” should please longtime fans. The trio still maintains a darkly magical, unique chemistry. 18. CHVRCHES – “LOVE IS DEAD” / “HANSA SESSION” Scottish synth-pop trio Chvrches released their third top-notch album in a row, raising their profile even more with singles like “Get Out,” and “Miracle.” “Graffiti” and “Really Gone” are nearly perfect examples on the group’s capabilities, with the latter ballad sounding like something out of a John Hughes movie. The “Hansa Session” EP contains performances of five tracks from the record with more organic instrumentation and a string section in place of most of the synths. 17. JOHNNY MARR – “CALL THE COMET” Johnny Marr perfectly follows up “The Messenger” and “Playland,” with the equally-focused “Call the Comet.” Without a doubt, the former Smiths guitarist has come into his own as both a solo artist and a vocalist. On the opener, “Rise,” the magnificently majestic “Hi Hello,” the arena-rock-ready “Bug” and the hazy “Spiral Cities,” he shows his guitar-work is still as iconic as ever. Marr remains an evergreen alt-rock titan. 16. BOYGENIUS – “BOGENIUS” (EP) Singer-songwriters Julien Baker, Phoebe Bridgers and Lucy Dacus (see #39) are all up-and-coming artists who make their own brand of angst-driven music. It makes perfect sense that they would want to join forces as a trio and they do just that as boygenius. The six songs here show that they have immediate chemistry both as vocalists and guitarists, with many of these songs swelling to a volume not heard on their solo records. Highlights like “Bite the Hand,” “Me & My Dog” and “Stay Down” make you wish the set was longer. 15. 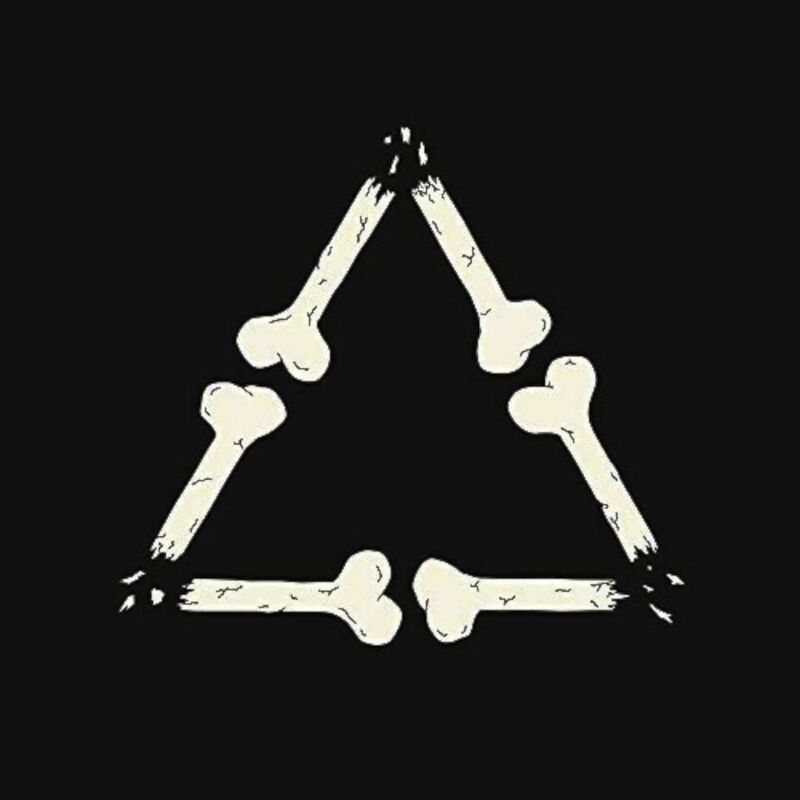 PETER BJORN AND JOHN – “DARKER DAYS” After hitting a snag on their last record, on “Darker Days,” PB&J sound like themselves again. One listen to tracks like “Every Other Night,” “Living a Dream,” “Sick and Tired” and “Silicon Valley, and it is evident that they have once again found the thread. Bjorn Yttling’s production and their inherent chemistry as musicians make this trio special and this collection, with its experimental edges, provides another excellent addition to their discography. 14. WEAKENED FRIENDS – “COMMON BLAH” Portland, Maine’s Weakened Friends deliver the kind of grungy, power-pop not often heard on the radio this side of 1996, and on their full-length debut, they firmly establish themselves with standouts like “Aches,” “Blue Again,” “Early” and the J Mascis-assisted “Junk Mail.” Perhaps the secret of their sound cementing itself in your brain is singer Sonia Sturino’s unusual vocal delivery, full of raspy twists and turns. In any case, “Common Blah” is a near-perfect nineties “buzz-bin” record even in 2018. 13. KAMASI WASHINGTON – “HEAVEN AND HELL” Jazz saxophonist and bandleader Kamasi Washington covers a lot of ground on the stunning double-disc, “Heaven and Hell,” in which he mixes classic jazz with cinematic rises and some Latin rhythms. With his love of vocal flourishes, tracks like “Can You Hear Him?” and “Show Us the Way” can sound like something between Mancini and Morricone, while funky jams like “The Psalmnist,” “Hub-Tones” and “VI Lua VI Sol” are full of vintage jazz cool, even considering the latter’s spaced-out vocal line. 12. THE JAMES HUNTER SIX – “WHATEVER IT TAKES” James Hunter still sounds like he is equal parts Sam Cooke, Jackie Wilson and Bobby Darin, making “Whatever It Takes” yet another winner in his discography. The title-track, “I Don’t Wanna Be Without You,” “I Got Eyes” and “Show Her” could have all been massive hits in the early ‘60s, with a vintage sense of authenticity. It seems perfect that Hunter is currently signed to the famed Daptone label. 11. DOE – “GROW INTO IT” Two years after delivering the astonishing “Some Things Last Longer than You,” English trio Doe returns with “Grow Into It,” in which Nicola Leel, Jake Popyura and Dean Smithers drop another set of Breeders/Weezer-influenced rock. They still don’t have a bassist and don't seem to need one, as their double-guitar attack really does the job. The surprising sonic explosions and fits of chaos suggest that they may be taking cues from “Pinkerton,” and yet songs like the bouncy “Labour Like I Do,” the pensive “Team Spirit,” and single-ready fuzz-ballad, “Cathy” rank among their best work. 10. SOCCER MOMMY – “CLEAN” Sophie Allison, who records under the name Soccer Mommy, makes tender, intimate songs with her heart on her sleeve suggesting a fusion somewhere between Elliott Smith and Taylor Swift. Songs like “Still Clean,” “Wildflowers,” “Cool” and “Your Dog,” make her proper full-length debut mandatory listening. Like Mitski, Waxahatchee and Julien Baker, Soccer Mommy can be added to an exponentially growing list of promising singer-songwriters. 9. CAROLINE ROSE – “LONER” The two albums Caroline Rose released before “Loner” were Americana records, which is a bit of an amazing realization when you consider the organ and synth-heavy indie-rock here. With songs like “More of the Same” and “Animal,” she suggests a more pop-driven answer to Beach House, while “Cry!” sounds like it comes directly from a lo-fi eighties dance-party. Odd turns like “Money” and the awesomely pointed go-go workout, “Bikini,” establish some really quirky edges. This set is pretty much flawless, establishing Rose as an eclectic force. 8. JOHN COLTRANE – “BOTH DIRECTIONS AT ONCE: THE LOST ALBUM” It speaks volumes that this previously-unreleased Coltrane record, recorded in 1963, sounds so fresh 55 years after its initial recording. Some songs don’t even have proper titles, which seems a little sad, even though they play like fully fleshed-out grooves. Listening to “Impressions” or the take of “Nature Boy,” this set sounds just as complete as any one of Coltrane’s peak albums. The 11-and-a-half-minute jam, “Slow Blues,” becomes somewhat entrancing as this set reminds us how much John Coltrane is really missed. 7. ANDERSON .PAAK – “OXNARD” Following his previous offerings, “Venice” and “Malibu,” Anderson .Paak drops “Oxnard,” a fitting, eclectic set named for the place he was born. .Paak brings the funk, raps and sings, making this album a thorough thrill-ride. Guests include big names like Kendrick Lamar, Q-Tip, J. Cole, Snoop Dogg, Pusha T and more. “Tints,” for instance, plays like a summer jam re-positioned for the late fall, as does the nostalgic “Cheers.” This is a musically-sophisticated, politically-aware set. “6 Summers” gets an infectious bass-line that will immediately have your head bobbing. 6. PAUL MCCARTNEY – “EGYPT STATION” In a year where the Beatles are celebrating the 50th anniversary of “The White Album,” Paul McCartney still sounds hungry on “Egypt Station,” an album which finds him working in expected ways on tracks like “Come on to Me” and “Happy with You” and unexpected ways on the wonderful slice of modern pop, “Fuh You.” He delivers a disheartened ballad on “I Don’t Know” and explores some Latin rhythms on “Back in Brazil.” Nearly 55 years after the Beatles landed in the U.S., it is great to hear this kind of fresh experimentation from McCartney. 5. 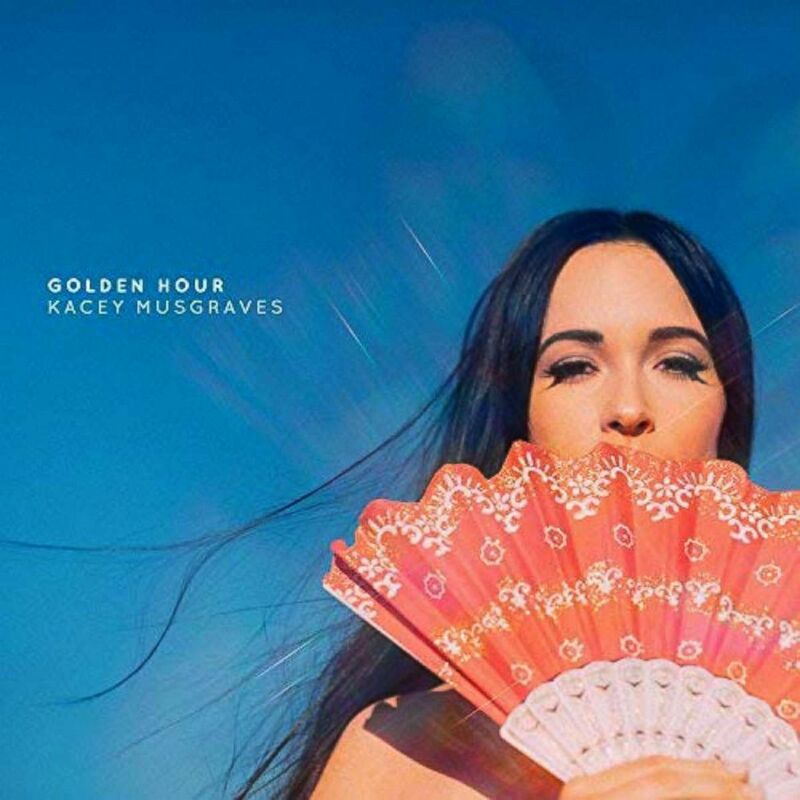 KACEY MUSGRAVES – “GOLDEN HOUR” This is the album in which Kacey Musgraves has blown it all open, between the opener, “Slow Burn,” to the low-key pop of “Lonely Weekend” and “Wonder Woman.” Musgraves keeps her country twang intact, but this set isn’t an easy record to classify, with funky numbers like “High Horse” and laid-back, synth-led grooves like “Butterflies.” As a songwriter, her knack for detail remains strong, and this record has extremely wide appeal. 4. THE BREEDERS – “ALL NERVE” The same line-up that recorded 1993’s “Last Splash” came back together to record “All Nerve.” As a songwriter, Kim Deal is still at her peak, judging from the jaw-droppingly great title-track and the haunting beginning of “Spacewoman.” If you listen to this album and “Last Splash” back to back, it is incredible to think that 25 years separate the two records. The left-turn of “MetaGoth” proves to be a nice touch, as does the madly funky “Archangel’s Thunderbird.” The Deal twins unsurprisingly continue to prove their coolness, and this album should be considered “Exhibit A” in the argument that this line-up of the band should continue going for years to come. 3. BLACK THOUGHT – “STREAMS OF THOUGHT VOL. 1" / BLACK THOUGHT AND SALAAM REMI – “STREAMS OF THOUGHT VOL. 2" Until he dropped an epic freestyle last year, Black Thought seemed destined to be one of the most underrated emcees in the game. Maybe the love he received in the aftermath inspired him to finally release some solo material after playing with the Roots for more than 20-plus years. Put these two EPs together and you get a 41-minute album. Most of Vol. 1 is produced by 9th Wonder, while on Vol. 2 you get some ace work from Salaam Remi. “Twofifteen” and “Making a Murderer” serve as key highlights of the first half, while the longer second half sports immediate ear-worms like the bass-heavy “Soundtrack to Confusion,” “Long Liveth,” and “Streets.” What is most clear is that with his unrelenting, constantly adept flow, Black Thought is truly a gifted lyricist and poet. His verses play like dense, rhyming paragraphs. 2. MITSKI – “BE THE COWBOY” On her fifth album, Mitski jam-packs 14 tracks into a brief 33 minutes, resulting in many, compact exercises in succinct composition. Give “Geyser” a listen as it quickly builds and explodes, the country-tinged “Lonesome Love” or the distorted new-wave of “Remember My Name.” Other highlights include “Me and My Husband” and the broadcast-esque “Come into the Water.” Mitski proves herself to be a sonic scientist, especially as she crams a complete song’s worth of ideas into a mere minute-and-a-half. This is a sometimes chaotic, genre-shifting set, but it is a love letter to pop-craft at its core. 1. 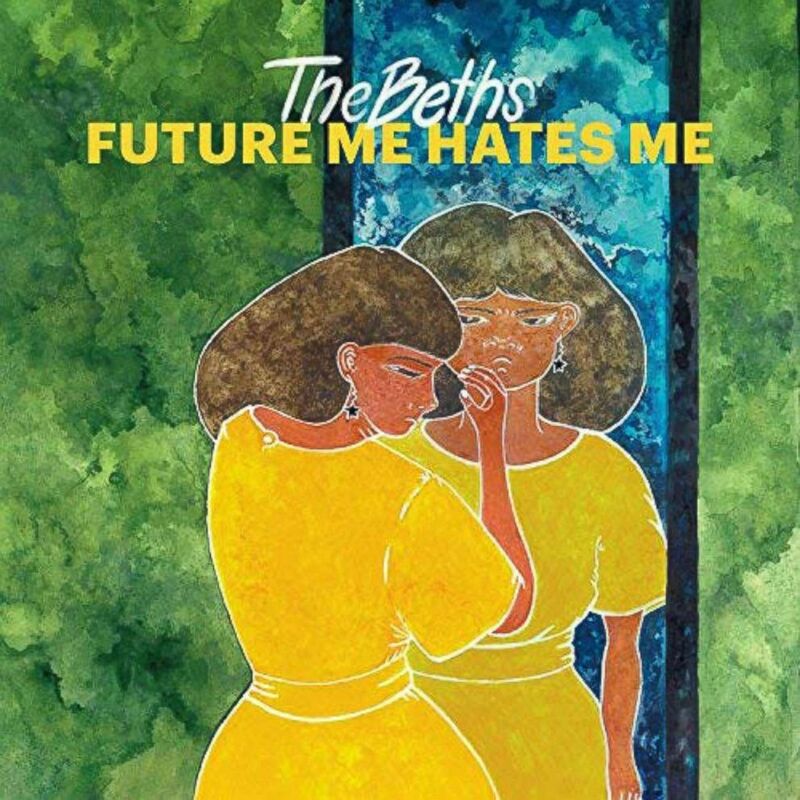 THE BETHS – “FUTURE ME HATES ME” The Beths are an indie-rock band from New Zealand with a knack for pop hooks and unpredictable shifts. “Future Me Hates Me” is as assured as debuts come and it doesn’t get much more mind-blowing than the constantly adjusting “Little Death” or the intense “Not Running.” “Uptown Girl” is an insistent bit of pop-fueled punk, while “Happy Unhappy” is a sunny bit of power-pop. The Beths set the bar extremely high with this record and this album offers the kind of sudden surprise you hope for but hardly ever get.